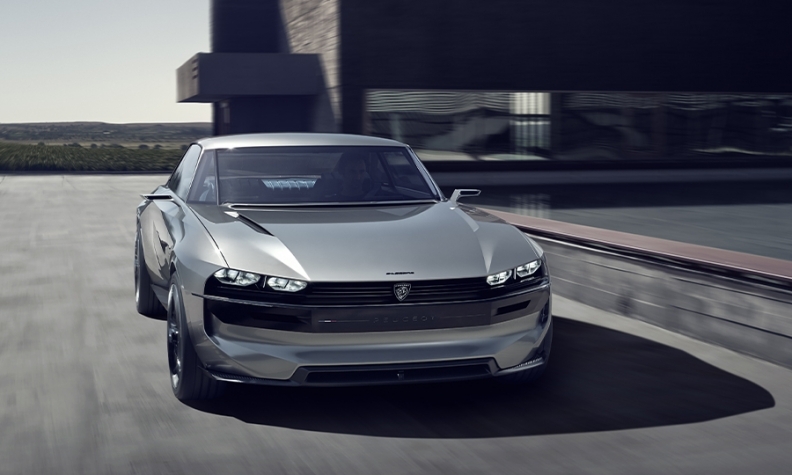 The Peugeot E-Legend concept car hints at PSA Group’s plans for the future. 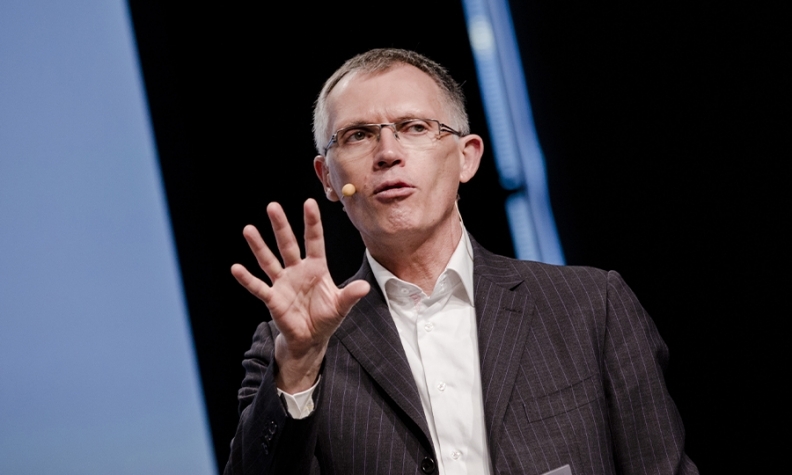 PSA Group CEO Carlos Tavares delivered good news to investors this summer when he announced that the company’s German subsidiary, Opel, had turned a profit in the first half of 2018 – something it was unable to do for decades when it was owned by General Motors. Besides keeping the focus on Opel, Tavares has other tasks ahead of him – notably, managing the transition to low-emission drivetrains and rejuvenating PSA’s struggling operations in China. Tavares spoke about how he plans to do that with Automotive News Europe Publisher Jason Stein, Associate Publisher and Editor Luca Ciferri and Correspondent Peter Sigal. It has been more than a year since PSA bought Opel, and you already have reported profits in the first half of 2018. Are you still in the cost-cutting and restructuring phase? We are still implementing the [PACE turnaround] plan. The first results are promising, which is a testimony to Opel CEO Michael Lohscheller and his executive team and the Opel employees. There are still a lot of things we need to do to get to the level of operational excellence that we are aiming for. When we deliver on the guidance for 2020, and a 6 percent operating margin, then you can consider that the plan is finished. Are you at breakeven now in terms of annual production at Opel? Breakeven is now a six-digit number and not a seven-digit number. That is very positive. The 5 percent profit margin that we announced in the first half was a good result, but we still need to make sure that we have a cost structure that will bring us to recurrent profits in an almost automatic way. We are also still working on improving our sales channel mix. We have gotten rid of the “toxic” channels in some cases, but it’s all about managing the sales mix to maximize the pot of profit, rather than to exclude this or that channel. In some cases, even the toxic channels such as rentals or fleet sales make money. We have seen some headcount reduction at Opel in the past year. How big is the company now? It had 38,000 employees when PSA bought it. Will that number decline or stabilize? Based on the decisions we have made, the number of employees is about 32,000 right now. There were reductions in Germany, the UK and some other parts of the world. But at the same time, we need to compare it with the 50,000 jobs that were shed at Opel over the past 20 years [under GM]. Before we took over, more than $19 billion in red ink had accumulated, 50,000 jobs were shed and 2.2 points of European market share were lost. One of the things that is clear is that we do not kick the can down the road -- we try to face problems head-on and fix them. If you kick the can down the road, all of a sudden you have two cans, then three cans, and it overwhelms you. Did you face any unanticipated obstacles during the integration of Opel? One of the things that was surprising is all the legal packaging that came with the co-determination [union negotiation] process in Germany. That doesn’t exist in France. I have done many deals with my French unions -- the level of mutual trust is at the point where we don’t need papers, we don’t need signatures. We just need to agree on the problem to solve to make the company higher-performing and protect employees through the performance of the company. Co-determination works fine in Germany, but it’s very technocratic. I don’t think it’s very helpful in the end, but this is how it is. We are learning. PSA decided this year to leave Iran, where it has a long history, after the U.S. pulled out of the nuclear accord and reimposed sanctions. Did this come at a financial cost? Not significantly, because everything was already booked in the first half. In terms of governance and compliance, you can’t be in the middle of the road, so we left. PSA’s electrification strategy through 2022 is very clear: plug-in hybrids on midsize and large cars and full-electric options on smaller cars. How will you convince people to buy plug-in hybrids when they have typically come with a very high cost penalty? I have been repeating like a broken record that sustainable, clean mobility is like organic food: It’s more expensive. And it is. But we think that plug-in hybrids bring the best of two worlds, which protects buyers’ freedom of movement. The DS 7 Crossback E-Tense has 300 hp; it’s outstanding in terms of acceleration and driveability. Then you have 50 km of electric-only range for when you go inside an urban ring road, for example, and want to drive downtown. It even has a blue light on the mirror so from the outside you can see that it’s in full-electric mode. It’s a really fantastic mobility device, but it will cost about 10,000 to 15,000 euros more than a conventional internal-combustion car. It’s the price to pay for this comfort and convenience. Taking into account plug-in hybrids and full-electric vehicles, will you have any problems meeting the EU’s CO2 emissions standards that start to take effect in 2020? We have a corporate CO2 committee that meets monthly -- we are monitoring it very closely. The big gorilla in the room is what is going to be the diesel mix in 2020 because the best tool to reduce emissions is still diesel. It’s affordable, it’s highly driveable, and it’s efficient in terms of CO2. But with news about forthcoming city bans on diesel, we don’t know to what extent the market share will fall by 2020. We have a plan that will let us achieve the targets even if the diesel mix goes down to 10 percent and without using more than 7 percent of the sales mix on full-electric vehicles. You need to limit electric-vehicle sales. If you want to sell 50 percent EVs to meet the CO2 targets, fine, but you may not have the profitability you are looking for. You also need a very low level of diesel sales to make sure you are not promoting a mix that is above the market level. "We are fighting to gain efficiency and effectiveness every day,” PSA CEO Carlos Tavares said. MAIN CHALLENGE: Continuing PSA’s winning streak while meeting tougher emissions targets. What is the status of PSA’s recovery in China? We are not there yet. Some of the improvements we are trying to make with our partners are being countered by the market’s volatility, meaning the speed at which the market is evolving. We need to make our partners understand that we need to move faster. It’s all about discipline and the way we manage sales and marketing. They are understanding step by step, but it has been difficult. How to manage and incentivize a sales network to achieve objectives. Also, one thing that has been neglected has been the brand storytelling. It’s not all about throwing money at the problems. It’s about being relevant in the way you talk about the brand, and you can’t do that if you don’t love the brand. It won’t work if you are just spreading around money to buy media advertising. PSA spends less on r&d as a percentage than other European automakers. Are you doing enough to prepare for your future? If you looked around the Paris auto show we had the DS 3 Crossback, a B-segment premium SUV with a full-electric variant. We had the Peugeot 508 fastback and wagon with plug-in hybrid options. We had the Citroen C5 Aircross, which also offers a plug-in hybrid variant. Then we had concept cars such as the Peugeot E-Legend. There is nothing missing. What is difficult to understand -- and this is perhaps the sweet spot of the PSA Group -- is that we are much more efficient than many of our competitors. Why are you the only one getting these results? We are gaining share and our profitability is above the premium carmakers because we are fighting to gain efficiency and effectiveness every day. Look at the Paris show, for example. In 2014 we spent twice the amount we are spending today. Do you have the feeling that our booth is cheap, that it is low-value and low-quality? No, it’s just about being frugal and thoughtful in the way we spend each euro. How did you reduce costs? Less carpeting, fewer lights? Fewer press conferences, which are boring [laughs]. It’s eight minutes for the ego of the auto executives. Fewer press conferences, more roundtables. We challenge every expense -- the catering, the spaces, which are smaller, but we are using them in a better way. Our default position about auto shows is that we don’t go. The brand CEOs have to explain why it makes sense to go and what the ROI [return on investment] will be -- then they have to report back and say whether they achieved their objectives. Automotive alliances have come together and broken apart, such as DaimlerChrysler, and some have succeeded for many years, such as the Renault-Nissan alliance. Will we see more automotive industry consolidation, and is PSA open to another alliance or merger? We are in a position where we are making significant money and our net debt position is very good, so of course we need to be mindful of any opportunity. Some of these opportunities will come in Europe from what the 2030 CO2 objectives will be, especially if the target emissions reduction is really out of reach. So if you are an automaker that doesn’t have the technology to meet tougher emissions standards, you could be vulnerable? Yes, sure, and that is why this is a problem for governments. If you want to fine a company that is not meeting the objectives in a way that brings them to their knees, then guess what happens? That will trigger investor activism, there will be a restructuring. And beyond that, you will have another player coming in that will do even more restructuring. It’s about what kind of automotive industry you want to have?